But as with polypropylene, these plants haven’t shut down. They have instead increased their exports to other markets, primarily in Europe, where Korean volume has more than doubled from 200kt in 2014 to 500kt this year. Thailand has also nearly doubled ts exports to the Middle East from 70kt to 120kt over the same period. Naturally enough, domestic European producers are feeling the pain, and have filed an anti-dumping suit against Korean producers with the European Commission. Meanwhile, India has this month announced anti-dumping duties on a wide range of importers from China, Taiwan, Iran and Malaysia, whilst Mitsubishi Chemical plans to divest its PTA plants in China and India due to the “oversupply of material in the 2 markets”. The pain could well get worse in H2, due to developments in cotton markets. These had been expected to see lower prices from April, as China finally launched its long-awaited auction process to reduce its vast cotton stocks. 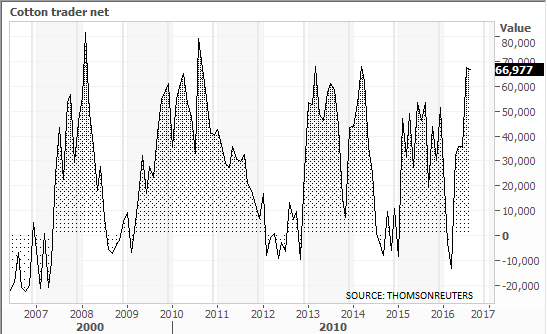 But the auctions had a very slow start, with latest USDA estimates suggesting China still holds 13 million tonnes of stock, down only 1MT since March. This failure forced some consumers to go back into spot markets to cover their needs, where they were joined by a large number of hedge funds, who saw the opportunity for a quick profit. As the chart shows of US futures positions, their net long position soon reached near-record levels. □ In addition, improved rainfall has prompted USDA to increase its volume estimate for the current crop in Texas and Louisiana – the main growing areas. Hedge funds are not long-term investors. And it seems likely they will now take their profits and exit the market, leaving producers and consumers to pick up the pieces. At the same time, oil prices are also now weakening again, after their “silly season” August rally. It could be tough times for cotton and polyester markets, as attention returns to today’s record surpluses. China’s long-promised cotton auctions have begun this week. Their outcome will tell us a lot about President Xi Jinping’s ability to force through his New Normal changes in the economy. It will also, of course, have major impact upon the polyester value chain, given the competition between the 2 fibres. As the slide from the US Dept of Agriculture’s (UDA) new monthly report shows, China’s current stock equals 169% of its annual use, nearly five times higher than the 36% figure in the rest of world. And at the moment (cotton year 2015/16), this means that global stocks are very close to all-time record highs. There is enough in store to make 3 pairs of jeans for everyone in the world – following the disastrous impact of China’s stimulus policies post-2008. And a further positive sign is that the limit for daily sales has been raised from 30kt to 50kt, with the government now planning to sell 2 million tonnes in the May to August period, with prices based on international and domestic levels. But there is really no alternative. The mistake was made, and it now has to be unwound. 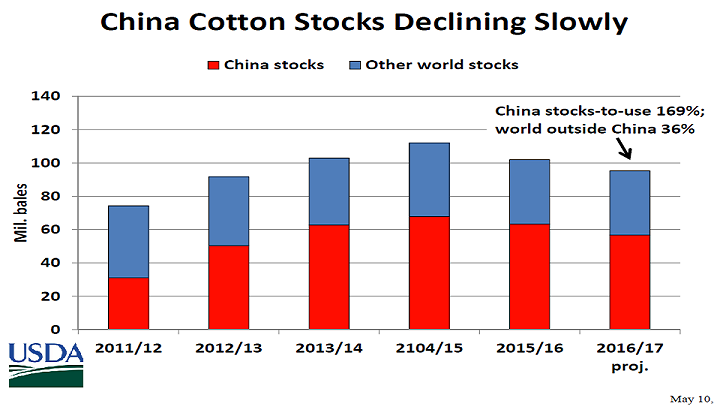 Only then can the global cotton market hope to return to being based on the fundamentals of supply and demand rather than stimulus policies. 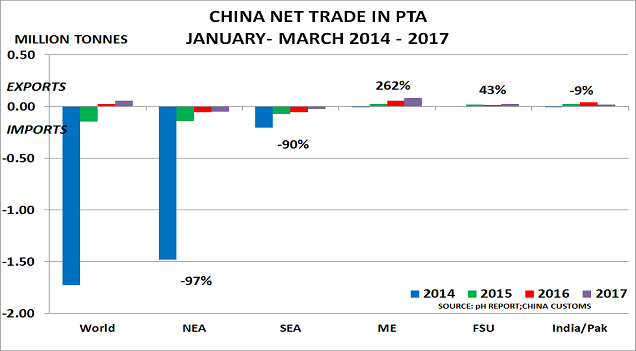 Polyester producers are already in the eye of the storm, following China’s decision during the stimulus period to build sufficient PTA capacity to supply the needs of the entire world. 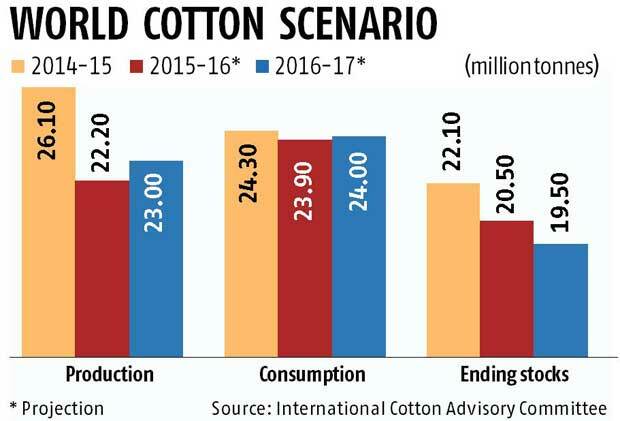 Lower cotton prices will obviously increase the pressure. All they can hope is that oil prices may now weaken again. One positive is that last month’s speculative commodities bubble on the Dalian futures exchange has indeed collapsed as expected. Clearing up the mess created by the stimulus programme was never going to be easy. But we are, where we are. And the alternative of doing nothing, solves nothing. Credit conditions are tightening day by day in China. Companies with good payment records over many years are seeing their borrowing limits cut back. 2016 is indeed proving to be the year that President Xi Jinping “takes the pain of restructuring”. They disappeared almost entirely last year. And even more ominously, exports are ramping up – reaching 620kt. 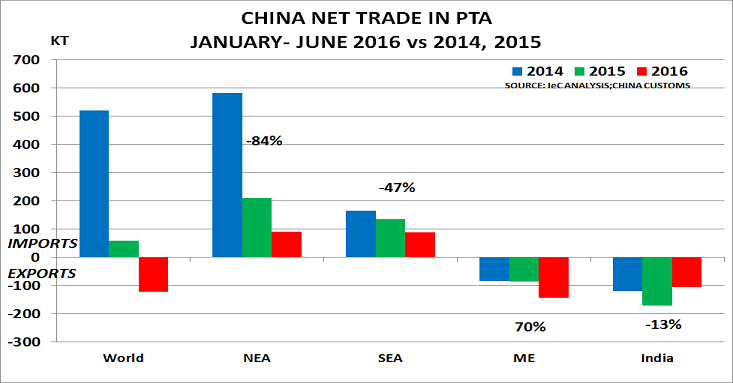 PTA producers outside China are already facing major difficulties. And any sale of the cotton stocks will make the situation very much worse. But there is more to worry about than just PTA markets. Other value chains can see the same developments taking place. 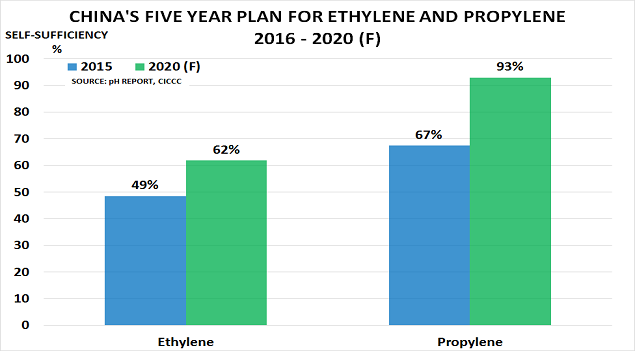 PVC is in a very similar position, whilst polypropylene production (PP) is rising fast as China expands its on-purpose propylene capacity. And its aim under the 5 Year Plan is to to reach 93% self-sufficiency by 2020. This will have two major implications. 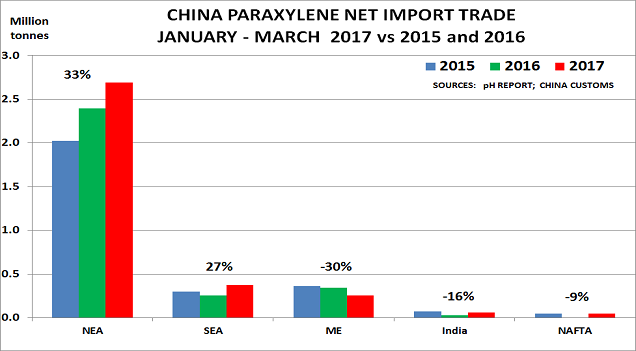 Almost inevitably, China will start to become a major exporter of propylene derivatives, driving down prices and margins. In turn, this will put pressure on other polymers such as polyethylene, which can be substituted by PP in several key applications. Of course, it is easier to sit back and decide this will never happen. That is what we describe as the Comfortable Middle scenario in the Study. But suppose we are right with our alternative scenario? What would you do, as a business? And wouldn’t it make sense to prepare now, whilst there is still time to make contingency plans? After all, consensus wisdom said China’s growth would never slow down, and oil prices would always stay at $100/bbl. These are painful reminders of the fact that wishful thinking is not always reliable.